Cut for a classic silhouette, this T-shirt is perfect for daily life, outdoors and other occasions. 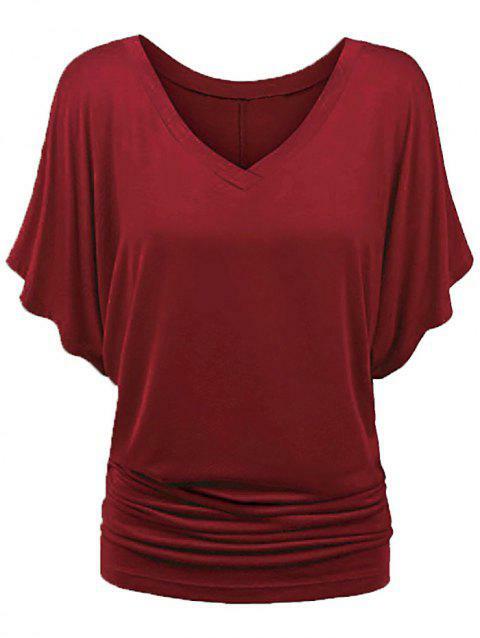 It features a casual v-neck, flattering batwing sleeves, and flattering ruched detail. Pair it with pants to complete this casual look!